There are all sorts of annoying things in life – people who cut in line, aggressive drivers, people talking on cell phones in public. This list is a specific subpart of that very large category. It focuses on the top ten things that both annoy and waste your time, or, more accurately, steal time away from you. These things steal time from your life that you would ordinarily have kept and used for, presumably, more fun and productive endeavors. Sit down and try to calculate how much time you estimate you have spent dealing with these annoyances. It’s startling to consider how much of our lives are spent overcoming these annoying obstacles. In all ten of these examples, I tried to focus on those annoyances that you either cannot avoid, or which are very difficult to avoid. Though this list contains, of course, some of my own most hated time-wasting annoyances, I tried to choose those that are universally annoying and wasteful. I hope you have fun with it. How much time does the average person waste picking off the floor, and throwing away, the magazine subscription cards that fall out when you open the magazine? These annoyances are meant to fall out into your lap, but this assumes the reader is sitting down when they open the magazine, and also assumes it will land in your lap, not on the floor, or be blown away by the wind or a fan. Invariably, these little cards end up not in your lap or hand, but everywhere you don’t want them – under the couch, in between the seat cushions, on the kitchen floor, blowing down the driveway as you get the mail. These cards are typically 3’x5” in size and are called “blow-in” cards, because in the magazine manufacturing process these cards are typically blown into the magazine, between the pages, one at a time. Of course, sometimes the machines accidentally blow in more than one card, so your issue of Sports Illustrated barfs nine of these cards onto the floor when you open it. Some cards are called “bind-in” cards and these are OK, they are bound into the magazine and do not fall out (typically they have perforated edges and can be torn out by the reader). It is the blow-in cards that are so annoying and waste your time when you have to chase one down the street or pick it up and throw it into the trash. How effective are these blow-in cards for magazines? 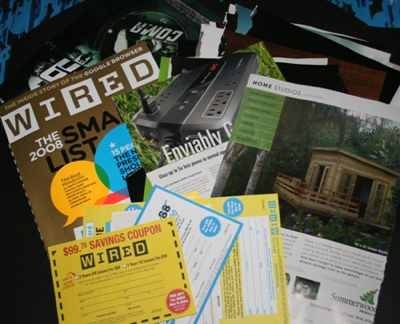 One magazine estimates that 12% of their magazine subscriptions come in as a result of blow-in cards (compared to only 10% through the paperless internet subscription services). And cost is another reason blow-in cards are not going away anytime soon. It costs the magazine, on average, about $10 to acquire a new subscriber using blow-in cards, compared to $25 or more using direct mailing. It may be possible to go through life and never have to use an extension cord or a water hose, but for the average homeowner, these are both essential tools of the trade. And both can be incredibly frustrating to use and waste many hours of ones life. The culprit for each is kinks and snags. No matter how carefully one unwinds, and rewinds, extension cords and water hoses, no matter what anti-snag device one uses, inevitably, they become twisted, ensnared, tangled, pinched and stuck. 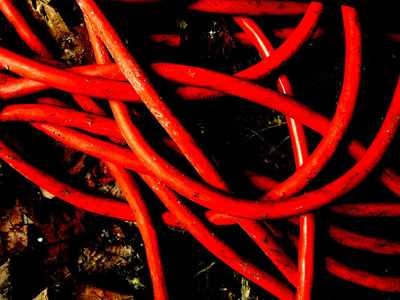 Untangling an especially complicated tangle in an extension cord or water hose can take minutes. Sometimes, the extent of the tangle is so maddening, one throws the cord or hose down in disgust and simply walks away in defeat. All manner of hose reeling devices and extension cord wrapping devices are available – all of which promise to prevent tangles, kinks and snares and all of which inevitably fail. Tamper-resistant devices or features are common on modern packages. There are also tamper-evident packaging methods, which make it noticeable that a product has been tampered with or opened. Whether they are seals, caps, wrappings, twist-off devices, hooks, anchors, twist-ties, or the dreaded hard-plastic clamshell packaging used on such things as children’s toys, all manner of tamper-resistant and tamper-evident packaging wastes hundreds of hours in an average lifetime as you pry, cut, twist, shear, punch and otherwise manipulate the packaging to get at what you want. 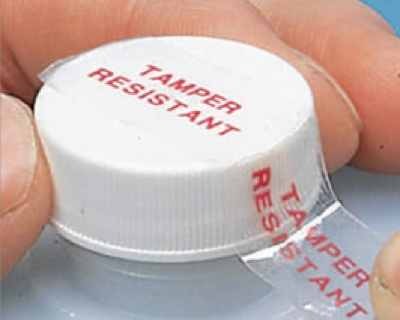 Tamper-resistant packaging as we now know it is a relatively new invention, which dates back to the Chicago Tylenol murders in the autumn of 1982. Seven people died after taking pain-relief capsules that had been poisoned. The Tylenol poisonings took place when Extra-Strength Tylenol medicine capsules were maliciously laced with potassium cyanide. The incident led to reforms in the packaging of over-the-counter substances, and to federal anti-tampering laws. The case remains unsolved and no suspects have been charged. However, the incident did inspire the pharmaceutical, food and consumer product industries to develop tamper-resistant packaging, such as induction seals and improved quality control methods. Moreover, product tampering was made a federal crime. The benefits of tamper-resistant packaging are therefore substantial; they have prevented untold loss of life and bodily injury since the new packaging measures were implemented. However, there is no denying the modern tamper-resistant and tamper-evident packaging wastes many hours of the average Americans lifetimes. as one struggles to open or get through these devices. 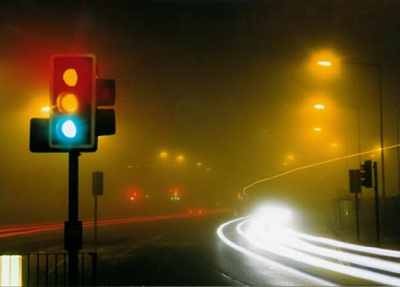 Red lights are a common device that have been around almost as long as the automobile, yet red lights are a huge time waster. Why? Because there are other options to control traffic flow at many intersections – namely, the traffic circle or roundabout. A roundabout is a type of circular junction in which road traffic must travel in one direction around a central island. Signs usually direct traffic entering the circle to slow down and give the right of way to drivers already in the circle. These junctions are sometimes called modern roundabouts in order to emphasize the distinction from older circular junction types, which had different design characteristics and rules of operation. Older designs, called traffic circles or rotaries, are typically larger, operate at higher speeds, and often give priority to entering traffic. In countries where people drive on the right, the traffic flow around the central island of a roundabout is counterclockwise. In countries where people drive on the left, the traffic flow is clockwise. Statistically, roundabouts are safer for drivers and pedestrians than both traffic circles and traditional intersections. Because low speeds are required for traffic entering roundabouts they are not designed for high-speed motorways. The first modern roundabout in the United States was constructed in Summerlin, Nevada, in 1990, and roundabouts have since become increasingly common in North America. Under many traffic conditions, an unsignalized roundabout can operate with less delay to users than traffic signal control or all-way stop control (intersections with red lights). Unlike all-way stop intersections, a roundabout does not require a complete stop by all entering vehicles, which reduces both individual delay and delays resulting from vehicle queues. A roundabout can also operate much more efficiently than a signalized junction because drivers are able to proceed when traffic is clear without the delay incurred while waiting for the traffic signal to change. Roundabouts can increase delays in locations where traffic would otherwise not be required to stop, and do have some disadvantages such as motorcycle safety concerns. However, modern roundabouts would save the typical driver many hours otherwise spent sitting at red lights at intersections. “Do you want to send this error message”? 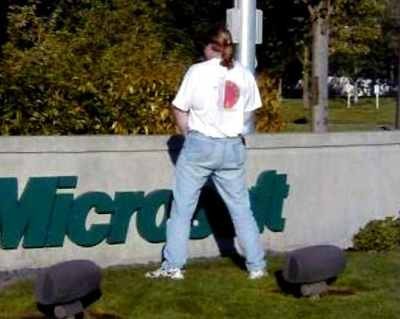 “Sorry but Windows needs to shut down”. How many times were you moving along through your PC and all of a sudden one of these annoying messages popped up on the screen and you were cut off, stopped dead in your tracks and had to wait for your PC to reboot? If you are like most PC users, it is a lot of wasted time. And most hated of all is the dreaded “blue screen of death” which would suddenly appear with no warning or error message at all – just a blank blue screen staring back at you. And, of course, how much time have you wasted redoing the content that was lost when Microsoft products decide to just shut down or lock up on you? This is not meant to be a specific criticism of Microsoft, all computer programs, operating systems and hardware have problems, and can lock up or shut down or lose data for unexpected reasons. However – because Microsoft has the lion’s share of the PC and software market, they account for the vast majority of the time we waste because of computer software and hardware malfunctions. And, of course, they were responsible for the travesty that was Windows 98, which single-handedly wasted millions of hours of human time until Windows XP was released. One bright spot on this depressing list is the advent of “do not call lists” which have drastically cut down on the number of telemarketing phone calls the average person receives. But the time wasted by answering the phone at 5:00 PM, in the middle of evening dinner, as some telemarketer pedaled their product can never be recovered. 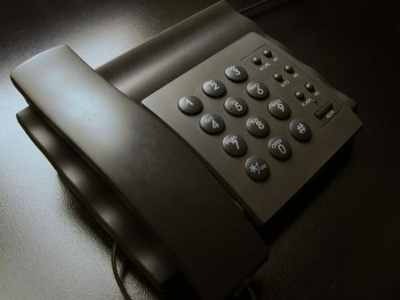 These calls are, perhaps, not one of the biggest time wasters (measured in sheer volume of minutes wasted) because you could always just hang up, or screen incoming telemarketing calls with an answering machine, but they were certainly one of the most annoying. And the shear intensity and volume of the annoyance led people to finally say, “enough is enough” and demand legislation, which led to the creation of the National Do Not Call Registry in 2003. How effective has this legislation been? In 2007 it was estimated that over 70% of Americans have registered their telephone number with the registry and 77% feel the registry has drastically reduced the number of telemarketing calls they receive (down from an average of 30 calls per month to only 6). Editors Note: The same system was introduced in Canada in 2008, and has had far less success. With over 300,000 complaints received, and over $73,000 in fines levied, only $250 has been collected, as of March 1. Sadly, we Canadians are still having our time wasted by this modern day menace! An especially virulent form of modern time wasting is caused by various forms of computer malware that infect and slow down your computer, or slow down your interface with the computer (or both). Of course if we simply did not use computers, this extreme time waster would not be an issue for us. However, in our modern high tech lives, not using a computer is becoming more and more difficult. 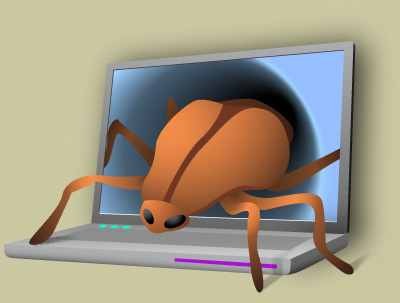 It is estimated that at least 60% of all home PC’s are infected with some form of malware. Many home PC’s are so infected as to render the machines almost unusable. Unknowing and not especially tech-literate home PC users waste untold millions of hours of time on slow, unresponsive malware-infested computers, and do not even know it. It is debatable which is worse – living with things that waste your time, unbeknownst to you, or living with things that waste your time, and of which you are painfully aware. Regardless, computer malware (not to mention the time spent installing anti-malware programs and time spent running and maintaining those computer security programs) is a huge waste of your time. Very closely related to telephone directories is the modern annoyance of poor (or non-existent) customer support. You have a problem or a question, or perhaps a complaint about a product or service? You pick up the phone and call the company (or you can email them but the result is typically the same). You weave your way through the labyrinth of confusing telephone directory menu options until you finally arrive at (possibly) a human being to talk to. You think you have wasted many minutes of your life so far? The time wasting has only begun. If you are lucky, you will have called a company that “gets it” and has excellent or even good customer support, you will reach a knowledgeable, helpful, trained and friendly customer support person. But sadly, more often than not today, you reach a person who is just the opposite. In fact, many companies today deliberately use customer support people who are anything but supportive. The customer support person you reach is often overworked, burned out and doesn’t care. Whatever the reason, you are about to enter the Twilight Zone of time wasting frustration. You all know the routine. 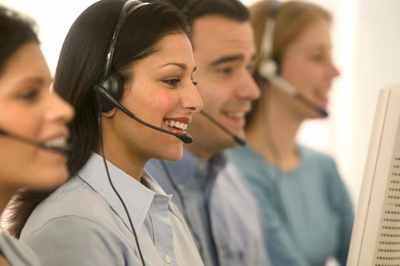 The customer support person can’t help you, or delays helping you because “their computers are down”. Or they can’t help you so they transfer you to someone else who can, and you wait on hold for untold scores of minutes. This other support person never answers, or takes a very long time to answer, and it ends up they can’t help you either in which case they transfer you to a third person, or refer you back to the person you first spoke to. In the phone call transfer process, often times you get disconnected and the line goes dead and you need to call back and start through the labyrinth all over again. All of this wastes hours, days, weeks, months of your life. Have you ever gone into a grocery store to buy, say, a box of Wheat Thins and been confronted with an entire wall of different varieties of Wheat Thins? You just want regular, old-fashioned Wheat Thins. But to find them, you must search your way through a dozen or more different types of Wheat Thins in the grocery store display. Big Wheat Thins (an oxymoron George Carlin would have loved), Artisan Cheese Wheat Thins, Ranch Wheat Thins, the list goes on and on. This takes time and becomes very frustrating. 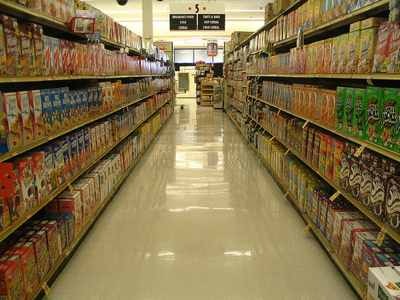 In fact, recent research has shown that, when confronted with too many different choices, grocery store shoppers tend to not buy the product at all out of sheer overload and frustration. Now, take the Wheat Thin choice overload model and apply it to most every other product you want to buy in a grocery store. You end up spending half a day shopping for groceries where before it took an hour – simply because you can’t find what you are looking for, or have to ponder too many choices. The “tyranny of choice” is not just about grocery shopping. It’s in almost every consumer choice we have to make. There used to be GM, Ford and American Motors (and a few European and Japanese car models). Now there are dozens of car manufacturers and hundreds of available models to chose from. There used to be one single provider for a utility – say one gas provider, one electricity provider, etc. Now consumers have to choose which utility they want to buy their electricity from. It used to be you worked a job and received healthcare benefits and a retirement program. Now there are many different “benefit menus”, and “plan options” to review and choose from. All of this takes time and can be very frustrating. Do we really need such an over abundance of choice in almost every aspect of our modern lives? Multiple options to choose from may or may not be a modern benefit to life, but there is one thing too many choices always are – time wasters. How much time have you lost in your life trying to untie a knot in a pair of shoes, or the drawstring on a swimming suit or other piece of clothing? 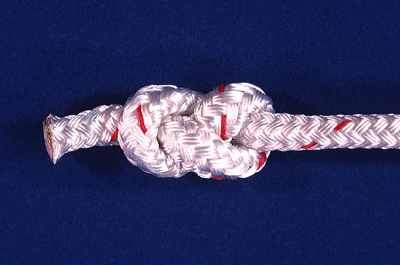 Invent a string device that when tied is 100% guaranteed to never knot and the world will beat a path to your door.